Thats all. 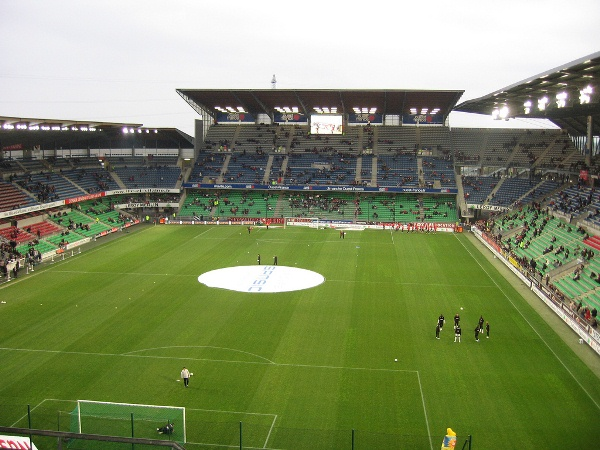 Game finished - Rennes 1, Metz 2. 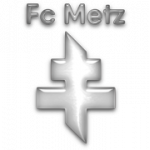 Second Half ended - Rennes 1, Metz 2. Ramy Bensebaini - Rennes - receive yellow card. Corner - Rennes. Conceded by Fallou Diagne. Shot blocked. Benjamin Bourigeaud - Rennes - shot with right foot from the centre of the box is blocked. Assist - Diafra Sakho with a head. New attacking attempt. Ibrahima Niane - Metz - shot with right foot from outside the box is saved in the right corner. Benjamin André - Rennes - won a free kick in defence. Missed chance. Benjamin Bourigeaud - Rennes - shot with right foot from outside the box is high and wide to the right. Emmanuel Rivière - Metz - won a free kick on the right wing. Offside - Rennes. Benjamin André with a pass, however Wahbi Khazri is in offside. Shot blocked. Wahbi Khazri - Rennes - shot with right foot from outside the box is blocked. Corner - Rennes. Conceded by Eiji Kawashima. Missed chance. Wahbi Khazri - Rennes - shot with right foot from a diffucult position and long distance on the left is close, but missed from a free kick. Ramy Bensebaini - Rennes - won a free kick on the left wing. Substitution - Metz. Ibrahima Niane for Nolan Roux. Nolan Roux - Metz - won a free kick in defence. Julian Palmieri - Metz - receive yellow card for a foul. Adrien Hunou - Rennes - won a free kick on the right wing. Substitution - Rennes. James Edward Lea Siliki for Romain Danzé. Missed chance. Benjamin André - Rennes - shot with left foot from outside the box missed. Assist - Romain Danzé. New attacking attempt. Nolan Roux - Metz - shot with right foot from the right side of the box is saved by goalkeeper in the centre of the goal. Assist - Mathieu Dossevi with a cross. Shot blocked. Wahbi Khazri - Rennes - shot with right foot from outside the box is blocked. Assist - Sanjin Prcic. Substitution - Rennes. Adrien Hunou for Ismaila Sarr. Corner - Metz. Conceded by Ramy Bensebaini. Corner - Rennes. Conceded by Iván Balliu. New attacking attempt. Nolan Roux - Metz - shot with right foot from outside the box is saved in the top centre of the goal. Assist - Florent Mollet. Joris Gnagnon - Rennes - won a free kick in attack. Wahbi Khazri - Rennes - won a free kick in attack. Substitution - Metz. Gerónimo Poblete for Vahid Selimovic. Emmanuel Rivière - Metz - receive yellow card for a foul. Jeremy Gelin - Rennes - won a free kick in defence. Wahbi Khazri - Rennes - won a free kick on the left wing. Goal! Rennes 1, Metz 2. Nolan Roux - Metz - shot with right foot from the centre of the box to the left corner. Assist - Mathieu Dossevi following a fast break. Substitution - Rennes. Diafra Sakho for Yoann Gourcuff. Missed chance. 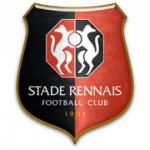 Benjamin André - Rennes - shot with left foot from outside the box missed to the left. Assist - Ismaila Sarr. Goal! Rennes 1, Metz 1. Nolan Roux - Metz - shot with the head from few metres to the left corner. Assist - Mathieu Dossevi with a cross. Vahid Selimovic - Metz - receive yellow card for a foul. Substitution - Metz. Julian Palmieri for Jonathan Rivierez. Second Half starts Rennes 1, Metz 0. First Half ended - Rennes 1, Metz 0. Sanjin Prcic - Rennes - won a free kick on the right wing. Offside - Rennes. Benjamin André with a pass, however Ramy Bensebaini is in offside. Corner - Rennes. Conceded by Moussa Niakhate. Delay in match Wahbi Khazri - Rennes - - injury. Wahbi Khazri - Rennes - won a free kick on the right wing. Goal! Rennes 1, Metz 0. Benjamin Bourigeaud - Rennes - shot with the head from few metres to the high centre of the goal. Assist - Yoann Gourcuff. Shot blocked. Yoann Gourcuff - Rennes - shot with the head from the centre of the box is blocked. Assist - Ramy Bensebaini with a cross. Missed chance. Nolan Roux - Metz - shot with the head from the centre of the box missed. Assist - Mathieu Dossevi with a cross after corner. New attacking attempt. Wahbi Khazri - Rennes - shot with right foot from a diffucult position and long distance on the left is saved in the top centre of the goal. Ismaila Sarr - Rennes - won a free kick on the left wing. Benjamin Bourigeaud - Rennes - won a free kick in defence. Missed chance. Benjamin Bourigeaud - Rennes - shot with right foot from few metres is high and wide to the left. Assist - Ramy Bensebaini with a cross. Missed chance. Sanjin Prcic - Rennes - shot with right foot from outside the box missed. Yoann Gourcuff - Rennes - won a free kick on the left wing. Shot blocked. Benjamin André - Rennes - shot with right foot from the centre of the box is blocked. Assist - Wahbi Khazri. Ramy Bensebaini - Rennes - won a free kick in defence. Offside - Rennes. Benjamin Bourigeaud with a pass, however Ismaila Sarr is in offside. Jonathan Rivierez - Metz - receive yellow card for a foul. Yoann Gourcuff - Rennes - won a free kick in attack. New attacking attempt. Mathieu Dossevi - Metz - shot with right foot from the right side of the box is saved in the left corner. Assist - Florent Mollet. Joris Gnagnon - Rennes - won a free kick in defence. Offside - Metz. Fallou Diagne with a pass, however Mathieu Dossevi is in offside. Renaud Cohade - Metz - won a free kick in defence. Corner - Rennes. Conceded by Jonathan Rivierez. Shot blocked. Ismaila Sarr - Rennes - shot with right foot from the centre of the box is blocked. Assist - Wahbi Khazri. Offside - Rennes. Romain Danzé with a pass, however Ismaila Sarr is in offside.